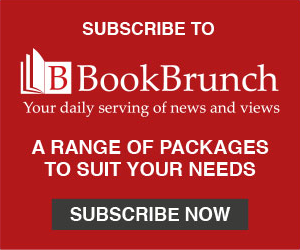 Hannah Black, publisher at Hodder's Coronet, bought world rights to Till The Cows Come Home from Melanie Rockcliffe at Troika. Black said: "Sara has an exceptional gift for storytelling and has drawn the most brilliant and memorable characters - human and animal. Full of 80s nostalgia and very, very funny, her memoir reads like Peter Kay's Phoenix Nights crossed with The Darling Buds of May. This is one of the most big hearted and hopeful memoirs I’ve read in a long time; it’s a privilege to publish her." Cox said: "I’m really excited (and knee-knockingly nervous) about sharing the story of my first couple of decades on the planet, with added cows. I had a happy upbringing and this book is a celebration of that. I’m blessed with a brilliant family and they are (like most families) complicated, hilarious, loving and loyal so it’s been a joy painting a picture of them. "It’s also been lovely writing about Bolton, a place as a teenager I thought I’d never leave and although I eventually did, it’ll always be a part of me. Writing the book has involved lots of random research phone calls to my parents and siblings, gallons of builders tea and frequent breaks for essential cat/dog cuddling, looking at Twitter and gawping in the fridge." According to the acquisition statement: 'The youngest of five siblings, Sara grew up on her father’s cattle farm surrounded by dogs, cows, horses, fields and lots of "cack". The lanky kid sister – "half girl, half forehead"– a nuisance to the older kids, the farm was her very own dangerous adventure playground, "a Bolton version of Narnia." 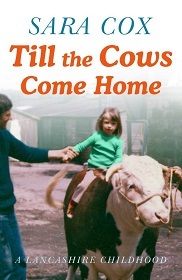 Till The Cows Come Home will be published in hardback, eBook, and audiobook in March 2019. Cox is a Radio 2 DJ, variously hosting Sounds of the 80’s, standing in for The Chris Evans Breakfast Show, and steering the helm of her own nightly Radio 2 Show. From January she will be the BBC Radio 2 Drivetime presenter. She cut her teeth on Radio 1 and presented the Breakfast Show for 4 years and also has TV experience: her most recent work includes two series of the Great Pottery Throwdown (BBC 2), Back in Time for Tea (BBC 2), and BBC 2 dating series, Love in The Countryside.